The world of I’ll believe it when I see it, is quickly turning into a world where psychic phenomena are increasingly being believed in, despite their unseen nature. 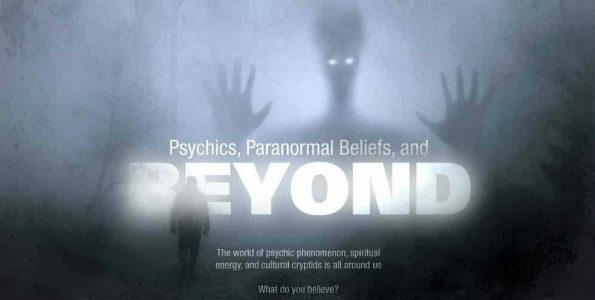 With more and more TV shows and movies revolving around the subject, it’s no wonder the percentage of people who believe in ghosts, psychic abilities, and the paranormal is becoming more commonplace. The Haunting of Hill House, Fact or Fiction? Amityville Horror, American Horror Story, and now Hill House, are just a few of the examples of ghosts wreaking havoc on families living in haunted houses. Although Ghost Hunters has yet to actually catch any, that doesn’t stop people from believing in ghosts. These stats may seem a bit ghostly, but what do you believe? 42% believe in ghosts, spirits and haunted houses. 38% strongly believe spirits and ghosts of the dead can come back. 80% of Americans believe in God or the existence of a higher power. 66% believe in supernatural healing powers. 54% are convinced the human mind has the power to heal the body. 42% of Americans believe that astrology is scientific. 23% of Britons have consulted a psychic, with 57% believing they were truthful. 57% of US adults surveyed believe in psychic phenomena. 50% are sure that ESP is possible. 16% have actually experienced ESP themselves. That’s right – as confirmed by the Psychic Guild – over 50% of American adults believe in the power of a psychic reading! What else do people believe in? They not only make great cookies, but people actually believe in elves. Whether it’s bigfoot, the loch ness monster, elves, ogres or pixies there are cultures around the world who have popularized paranormal creatures and beings. Are they simply the things of tales and children’s stories or do they actually exist?